Open Education provides a great mix of research and authentic application of "open” in education which is global in perspective. The contributions provide insightful evidence that open education as ecosystem is on the tipping point of crossing the chasm from sharing to learn to learning to share. This book is a must read for those who care about more sustainable education futures showing that open is a viable pathway to realising education as a fundamental human right. In a time of openness vs closure, collaboration vs competition, elitism vs democratisation, this volume presents a range of perspectives that make a strong case for open education in both the developed and developing worlds. A recommended read for all those interested in transforming higher education. This book is a rich resource that illuminates the different dimensions of open education and its critical link to human rights. This delivers a very important message: that open education is a powerful tool to throw open the ivory towers and transform higher education in the 21st century. Sustainable Development Goal 4 (United Nations) enjoins us to ensure inclusive and equitable quality education and promote lifelong learning opportunities for all. While we cannot rely on our current rigid and closed educational traditions to meet this goal, the concepts of the open education movement provide some promise. The importance of this book lies in its analysis of these concepts through the lens of the democratisation of education. Open is taken to enable far more than access—rather it focuses in on ideals of diversity, inclusion, agency, equity and social justice, towards the final goal of improving learning for all. Open Education: International Perspectives in Higher Education is a collective work by group of 44 authors from such countries as the USA, Canada, Australia, Great Britain, Sweden, Finland and Turkey. Many of the contributors are involved in the Open Educational Resources (OER) movement, which has an international dimension. I emphasize this fact because open education transcends geographic borders, as it is about giving access to knowledge to everyone regardless of their material status or nationality. Therefore, the joint effort of an international group of practitioners aimed at broadening the audience involved in higher education and showing what forms open education is taking and what initiatives support it, is certainly an action deserving recognition and attention. This insightful collection of essays explores the ways in which open education can democratise access to education for all. It is a rich resource that offers both research and case studies to relate the application of open technologies and approaches in education settings around the world. Global in perspective, this book argues strongly for the value of open education in both the developed and developing worlds. Through a mixture of theoretical and practical approaches, it demonstrates that open education promotes ideals of inclusion, diversity, and social justice to achieve the vision of education as a fundamental human right. A must-read for practitioners, policy-makers, scholars and students in the field of education. 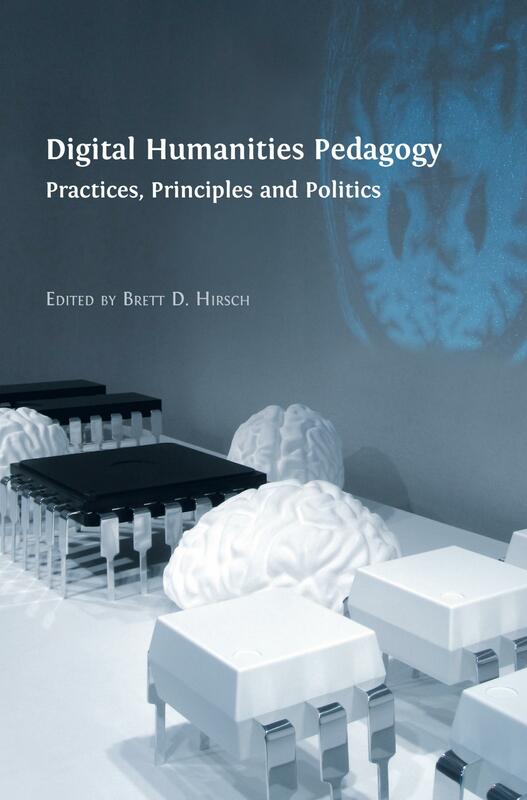 The Hewlett Foundation has generously contributed towards the publication of this volume. 2. Emancipation through Open Education: Rhetoric or Reality? Fahriye Altinay has research interests in educational technology and management. Altinay is a lecturer at Near East University, a member of an information technology platform for disabled people, a consultant to the Ministry of Education, and a member of the Turkey Informatics Association. Altinayis a board member of Distance Education Center and has published her work in leading books and journals in the field. Zehra Altinay is an Associate Professor who teaches doctorate, graduate and undergraduate degree courses in the Ataturk Education Faculty at Near East University. She is the Director of the Societal Research and Development Center, Vice Director of the Institute of Educational Sciences, and a board member of Distance Education Center. Zehra Altınay has published a number of leading articles, including three international book chapters and seven international articles, as well as two national publications. She is an active researcher in four research projects that were funded by the Ministry of Education. Beatriz de los Arcos is a Research Associate at the Institute of Educational Technology (IET) at The OER Hub she led the project’s collaborations and research in the K12 (primary and secondary education) sector, in addition to overseeing data analysis. Phil Barker is a Research Fellow at LRMI Task Group of the Dublin Core Metadata Initiative. Along with Lorna Campbell, he provided technical leadership for a three-year UK Open Education Resources Program in Higher Education, which encouraged the use of open and distributed systems to disseminate the resources released as a result of the program. John D. Belshaw is a historian of Canada and British Columbia with special interests in demographic history, working-class communities, and twentieth century Vancouver. His three latest hard-copy books are Becoming British Columbia: A Population History; Vancouver Noir: 1930–1960 (with co-author Diane Purvey), and an edited collection of articles called Vancouver Confidential. In 2015 he completed the open textbook Canadian History: Pre-Confederation (https://opentextbc.ca/preconfederation) and followed that up in 2016 with Canadian History: Post-Confederation (https://opentextbc.ca/postconfederation). Belshaw has taught internationally and has been a face-to-face and online professor at Thompson Rivers University for nearly twenty years. He has also worked in various administrative capacities and consults with institutions eager to build community-based research capacities. Patrick Blessinger is the founder, executive director, and chief research scientist of the International Higher Education Teaching and Learning Association (HETL) and an adjunct associate professor in the school of education at St John’s University, New York City. Patrick is the editor-in-chief of two international academic journals and two international book series on higher education, a Governor’s Teaching Fellow, and a Fulbright Senior Scholar. TJ Bliss is a Program Officer in the Education Program at the Hewlett Foundation. In this role, he oversees grant making to expand the reach and efficacy of Open Educational Resources (OER). Before joining the Foundation, he was the Director of Assessment and Accountability at the State Department of Education in Idaho. TJ was an OER Policy Fellow at the International Association for K-12 Online Learning (iNACOL), where he conducted research on state education policies friendly to open education resources (OER). Carina Bossu is a Lecturer of Learning and Teaching in Open Educational Practices in higher education; more specifically, she is exploring issues related to learning, teaching, and professional development. Bossu has presented and published widely and is currently involved in several research projects investigating different aspects of OER and OEP in higher education. Lorna M. Campbell works for the Learning, Teaching and Web Division at the LRMI). Lorna leads the Open Scotland initiative and is co-author of the Scottish Open Education Declaration. Anna Comas-Quinn is a Senior Lecturer and Associate Head of the Department of Languages at the Faculty of Education and Language Studies at The Open University, UK. She led the development of LORO (http://loro.open.ac.uk), a repository of open educational resources for languages, was a Fellow of the Support Centre for Open Resources in Education (SCORE), and is a long-standing member of the organizing committee of the UK-based OER conference. She has published on technology-enhanced and mobile language learning, teacher professional development, and open educational resources and practices, and co-edited the first book on open practice in language teaching (http://research-publishing.net/publications/2013-beaven-comas-quinn-sawhill). Rob Farrow is Research Fellow in the Institute of Education Technology (IET) at The OER Research Hub project he worked with a range of key stakeholders to research the non-formal and institutional use of OER. Lidia Cámara de la Fuente is an Applied Linguistics Researcher & Associate Professor of the Philosophical Faculty II at Humboldt University of Berlin. She holds a PhD in computational linguistics and an MSc in Communication and Language Disorders. She carries out research in two areas: (in)formal learning of second and foreign language(s) through social media in multilingual and multicultural inclusive web communities, and multimodal and multilingual inclusion for those who are disadvantaged due to disabilities, ethnic and cultural minorities, such as migrants, and asylum seekers and refugees. Her wide-ranging teaching experience includes Communication and Language Disorders, Audiovisual Translation, Language Immersion Programs, Pedagogy of Inclusion and Diversity in the school, Foreign Language Learning through Social Media and Online Learning Communities. She is a Spanish Language Coordinator at TED Translators and a TED Associate Member. David Gibson is Director of Learning Futures at Curtin University in Perth, Australia and Chair of the education arm of the Curtin Institute for Computation. Gibson’s research focuses on games and simulations in education, learning analytics, complex systems analysis and the use of technology to personalize learning via cognitive modeling, design and implementation and he has over ninety publications on these topics. He is the creator of simSchool (http://www.simschool.org), a classroom flight simulator for preparing educators, and eFolio (http://www.my-efolio.com), an online performance-based assessment system, and he provides vision and sponsorship for Curtin University’s Challenge, a mobile, game-based learning platform (https://challenge.curtin.edu.au). Arthur Gill Green is an environmental geographer and a 2016 Faculty Fellow for the BCcampus Open Education Project. He is currently a professor at University of British Columbia. In 2014, he co-authored an open textbook on regional geography. His present research examines best practices for integrating open pedagogy into the teaching of GIS and OER within geography and environmental studies. Kellie Hall is a motor learning and control specialist based in the Kinesiology Department at Cal Poly State University, San Luis Obispo, California, whose teaching is grounded in learn-by-doing. Hall is interested in providing access to affordable textbooks in the specialty area of Kinesiology. Mika Hoffman is the Executive Director of Test Development Services at the Center for Educational Measurement for Excelsior College in Albany, New York. She has over twenty years of professional experience in test design, quality control, integration of psychometric analyses, assessments development and production processes for higher education and government. Prior to comingto Excelsior, she managed the high-stakes Defense Language Proficiency Test program at the Defense Language Institute Foreign Language Center. She began her career at Educational Testing Service working on the Graduate Record Examination (GRE) as it transitioned to a computer-adaptive format. Dirk Ifenthaler’s research focuses on the intersection of cognitive psychology, educational technology, learning science, data analytics, and computer science. He developed automated and computer-based methodologies for the assessment, analysis, and feedback of graphical and natural language representations, as well as simulation and game environments for teacher education. His research outcomes include numerous co-authored books, book series, book chapters, journal articles, and international conference papers, as well as successful grant funding in Australia, Germany, and the US (see Dirk’s website for a full list of scholarly outcomes at www.ifenthaler.info). Dirk is the Editor-in-Chief of the Springer journal Technology, Knowledge and Learning. Rajiv Jhangiani is a social and personality psychologist who conducts research in political psychology, the scholarship of teaching and learning, and open education. He is an OER Research Fellow with the Open Education Group, a faculty workshop facilitator with the Open Textbook Network, and an Associate Editor of the journal Psychology Learning and Teaching. Rajiv has revised two open textbooks—for Research Methods (https://opentextbc.ca/researchmethods) and Social Psychology (https://opentextbc.ca/socialpsychology)—and advocates for the adoption of open educational and science practices. His forthcoming book is entitled Open: The Philosophy and Practices that are Revolutionizing Education and Science. Andy Lane is Professor of Environmental Systems at The Open University, UK and a Principal Fellow of the Higher Education Academy. He was seconded as the founding Director of the OUUK’s multi-award winning OpenLearn platform from 2006–09. He has taken a prominent role in the OUUK’s work on Open Educational Resources including serving as a board member of the Open Education Consortium from 2008–10, being involved in a number of European OER initiatives as well as UK projects. He was a Senior Fellow in the Support Centre for Open Resources in Education at the OUUK from 2009–12 and involved in organizing a number of OER conferences. He has authored or co-authored many teaching texts, research papers and other publications dealing with systems thinking and environmental management; the use of diagramming to aid systems thinking and learning; and systems of open education, especially the use of open educational resources. Patrina Law is Head of Free Learning at the Open University, UK where she has spent the last fifteen years of her career. She has moved through various roles in higher education, with an emphasis on eLearning, outreach, and researching and commissioning impactful free learning. Her research interests at present surround understanding informal learners, the impact and implications for digital badging for higher education and how this translates to good open educational practice for the University, for which she has won several awards. Audeliz Matias is an Assistant Professor of Science, Math and Technology for the Center for Distance Learning at the State University of New York (SUNY) Empire State College. Prior to joining as a faculty member, she served as the coordinator of curriculum and instructional design for the science, maths and technology area for three years at the Center for Distance Learning. Audeliz is involved in innovation and emerging technology efforts for teaching and learning and has seven years’ experience developing fully online courses. Her scholarly interests focus on geoscience education and effective practices in online learning, including the use of social and media environments, open educational resources, mobile learning, multimedia maps, experiential learning, and the use of scientific datasets to promote active learning. Patrick McAndrew is Professor of Open Education and Director of the Institute of Educational Technology (IET) in The OER Research Hub. He has had an active role in over forty funded-projects across technology enhanced learning. Howard Miller is Professor of Education at Open Educational Resources for the past five years, has presented at the Open Education Conference, co-authored an article on the use of OER at Mercy College (http://er.educause.edu/articles/2013/11/adopting-oer-a-case-study-of-crossinstitutional-collaboration-and-innovation) and recently served as guest editor of an OER-themed issue of the open online journal Global Education Review (http://ger.mercy.edu/index.php/ger). Ruth Olmsted is a Faculty Program Director in the School of Liberal Arts at Excelsior College, Albany, New York, where she has specific oversight of the BA/BS in Liberal Arts degree programs. These degree programs are the College’s most flexible offerings, affording students many opportunities to use credit-by-exam and other forms of prior learning assessment, as well as transfer credit, to meet distribution, depth, and level requirements. Previously, Ruth spent twenty years in what is now the Center for Educational Measurement, overseeing the editorial and test development functions and both electronic and paper-based portfolio assessment. She also has many years of teaching experience, both face-to-face and online. Davor Orlic co-founded videolectures.net with 20,000 educational videos, created the Opening up Slovenia national education case study, established the UNESCO Chair on Open Technologies for OER and Open Learning and conceptualised the Internet of Education paradigm. He is now managing the Knowledge 4 All Foundation with sixty global members in machine learning. He is active in artificial intelligence research, open education, policies and business innovation in education and has international professional experience in project management — connecting research, technology and business — in the Ed Tech landscape. Davor will be curator of the second UNESCO OER World Congress in 2017. Dana Ospina is the Open Education Library Fellow at Kennedy Library, Cal Poly State University, San Luis Obispo. In this capacity, she creates and supports initiatives and programming on such issues as affordability, access, and open culture. Ospina is responsible for developing the Kennedy Library’s pilot open educational resources program. Ebba Ossiannilsson was awarded the European Distance and E-Learning Network (EDEN) Fellow title in 2014, and became Open Education Europa Fellow in 2015. Since 2000 she has worked at Lund University, Sweden, as an eLearning, open online learning expert with a special focus on quality. Ossiannilsson is the research leader for the International Council for Open and Distance Education (ICDE) research study on a global overview of quality models, and the evaluator of the Supporting Quality in e-learning European NeTworks (SEQUENT) project on quality. Ossiannilsson collaborated with the European Commission Education and Training working group on Digital and Online Learning, and with the Commonwealth of Learning. She was guest editor of the Education Sciences Journal Special Issue on MOOCs (2016), and contributes frequently as a keynote speaker at international conferences. She has a passion for contributing to open education and collaborated with the United Nations (UN) System Task Team on the UN Development Agenda "Realizing the Future We Want for All” (http://www.un.org/en/development/desa/policy/untaskteam_undf/report.shtml). She has produced over 130 publications. Helen Partridge is the Pro Vice-Chancellor (Scholarly Information and Learning Services) at the University of Southern Queensland. She is also an Adjunct Professor at the Queensland University of Technology (QUT). From 2007 to 2013 she coordinated QUT’s library and information studies (LIS) education program. Helen has published widely in the area of teaching and learning and has received a number of teaching awards including a Teaching Fellowship in 2008 from the Australian Learning and Teaching Council (ALTC) that explored the impact of social media on the LIS profession and its education. From 2009 to 2011 she worked with 11 Australian educational institutions on an ALTC project that established a framework for the education of the information professions in Australia for the twenty-first century. Helen has twice been elected to the Board of Directors of the Australian Library and Information Association (ALIA), and was appointed a Fellow of the Association in 2012. Helen’s research focuses on the interplay between information technology and learning. She has been a visiting Fellow at the Oxford Internet Institute, University of Oxford (2011) and the Berkman Center for Internet and Society and Society, Harvard University (2014). Kati Peltonen currently works as a Research, Development and Innovation (RDI) Director of Wellbeing and Regenerative Growth Focus in Lahti University of Applied Sciences in Finland. She is a member of the quality development team in Lahti University of Applied Sciences and has also worked for several years as a Lecturer in the Faculty of Technology in Lahti University of Applied Sciences. Her research interests focus on entrepreneurship, entrepreneurship education, and teaching. She has published in both national and international peer reviewed journals and publications on topics including entrepreneurial pedagogy, team learning and team teaching and teachers’ competence development. She also has twenty years of experience in various positions in international business as well as being one of the owners of Entre House and the co-founder and CEO of EnTree Academy, both operating in the field of further education and professional development. Rebecca Pitt is a Research Associate at the Institute of Educational Technology (IET) at The Open University Engaging Research award in February 2015. Lizabeth Schlemer is a professor in engineering at Online Educational Resources (OER) to enable self-directed learning. She has most recently been researching learning environments for diversity and institutional change. Pete Schwartz is an associate professor at Cal Poly State University, San Luis Obispo, California. His research explores sustainable living, how people adjust to transitions and how we learn basic physics. He endeavors to learn collaboratively with his students. He is also exploring an alternative way to teach physics classes, and in particular for introductory mechanics where he has invoked what he calls "Parallel Pedagogy” in a flipped classroom methodology based on video lectures. The learning model is described in this short video (https://www.educanon.com/public/32670/93718/different-mechanics-class). Adrian Stagg is an eLearning Designer in Learning and Teaching Services at the University of Southern Queensland. Adrian’s current areas of interest are the use and reuse of open educational resources in higher education and the institutional enablers and barriers to widespread adoption and support of open practice. He is pursuing doctoral research through the University of Tasmania that will seek to understand the practitioner experience of openness in Australian higher education. Ken Udas currently serves as the Deputy Vice Chancellor of Academic Services and CIO of the University of Southern Queensland, Australia. He has served as the CEO of UMass Online and spent three years as the Executive Director of Penn State World Campus. Ken has also held positions as the Director of the SUNY Learning Network and as the Director of the eLearning Group at the Open Polytechnic of New Zealand. Ken is the co-founder of the Educause Constituency Group on Openness and the Jasig 2-3-98 project that are focused on the emergence and adoption of open technologies, practices, policies, and initiatives, and how they affect the delivery and support of education. He is currently chairing the Educators Working Committee for the Free, Libre, and Open Works project hosted by the Open Source Initiative. He sporadically publishes his less developed thoughts on higher education in Latent Pattern Transmission. Ilkka Väänänen has over twenty years’ experience with Finnish higher education institutions. In the last ten years he has worked as a research director at the multidisciplinary Lahti University of Applied Sciences (Lahti UAS) in Lahti, Finland, focusing on strategic management and leadership of research, development and innovation activities (RDI). He currently works as a senior researcher at the Well-being and Regenerative Growth Focus Area in Lahti UAS, and is the editor-in-chief of the Finnish University of Applied Sciences journal. He has published recently on user driven innovations, authentic learning environments and open applied research. He is involved in many regional RDI projects, where his specific interest is in RDI integrated learning that promotes regional developing. Linda Vanasupa explores how to create learning environments that support all learners in their holistic development, herself included. She is a professor of materials engineering at Cal Poly State University, San Luis Obispo, California. She is the author of twenty-nine journal articles, three book chapters, and fifty-six OERs, among other publications. Catherine Waitinas is an Associate Professor of English at Cal Poly State University, San Luis Obispo, California, who primarily teaches American Literature courses at undergraduate and graduate levels. Her research interests include Walt Whitman, literary mesmerism (including mesmeric sexual consent or the lack thereof), and literary pedagogy. Martin Weller is Professor of Educational Technology at the OER Research Hub project. He is author of two books: The Digital Scholar and The Battle for Open. He blogs at edtechie.net. Nathan Whitley-Grassi is the Assistant Director of Educational Technologies at SUNY Empire State College (ESC). Whitley-Grassi teaches courses on various Science, Technology, Engineering and Maths (STEM) and Education topics at the ESC School of Graduate Studies and courses in Education and Ecology and Evolution topics at the undergraduate level at ESC. His interests involve increasing access to STEM experiences through innovative technology integration. Amy Wiley teaches courses in Argument and Comparative Literature in the English Department at Cal Poly State University, San Luis Obispo, California, where she has been an adjunct faculty member since 2004. David Wiley is Chief Academic Officer of Lumen Learning, an organization dedicated to increasing student success, reinvigorating pedagogy, and improving the affordability of education through the adoption of open educational resources by schools, community and state colleges, and universities. He is also currently the Education Fellow at Creative Commons and adjunct faculty in the graduate program in Instructional Psychology and Technology at Brigham Young University, Provo, Utah, where he leads the Open Education Group (and was previously a tenured Associate Professor). Deborah Wilhelm studies adult learning methods and formation. A former Lecturer in technical writing at Cal Poly State University, San Luis Obispo, California, she now teaches homiletics and theology at the Aquinas Institute of Theology and Loyola University, New Orleans, Louisiana. Linda S. Williams is Professor of Business Management and Administration at Tidewater Community College (TCC) in Chesapeake, Virginia. In 2013, she led the faculty team that launched TCC’s Z-Degree, the first Associate of Science degree in the US based entirely on openly licensed content, and continues to lead the program’s expansion. She is also project coordinator and participant in the Kaleidoscope Project, project leader for TCC’s participation in the Virginia Community College System’s Zx23 Project and as course author for the Gates Foundation Next Generation Courseware Introduction to Business course. As a Chancellor’s Innovation Grant recipient, she authored a comprehensive faculty development course to educate faculty on the proper adoption, adaptation and deployment of open educational resources. This course, "Pathways: Adopting OER into the Classroom”, is now being delivered to faculty across the US. In addition to her work with OER, Linda maintains a strong presence in the classroom and in 2015, was the recipient of TCC’s Faculty Senate Outstanding Faculty Award for Teaching Excellence. Kevin Woo is an Assistant Professor for the SUNY Empire State College’s New York City location. Kevin currently teaches a number of studies in behavior, ecology, and conservation, but also engages in interdisciplinary studies across other areas of study. Currently, his research focuses on the evolution of animal communication and cognition, and he has studied the behavior of marine mammals, lizards, birds, and invertebrates. He is also the Assistant Director for the Center for the Study of Pinniped Ecology and Cognition (C-SPEC), based out of St. Francis College, Brooklyn, New York. © 2016 Patrick Blessinger and TJ Bliss. Copyright of individual chapters is maintained by the chapter’s author. 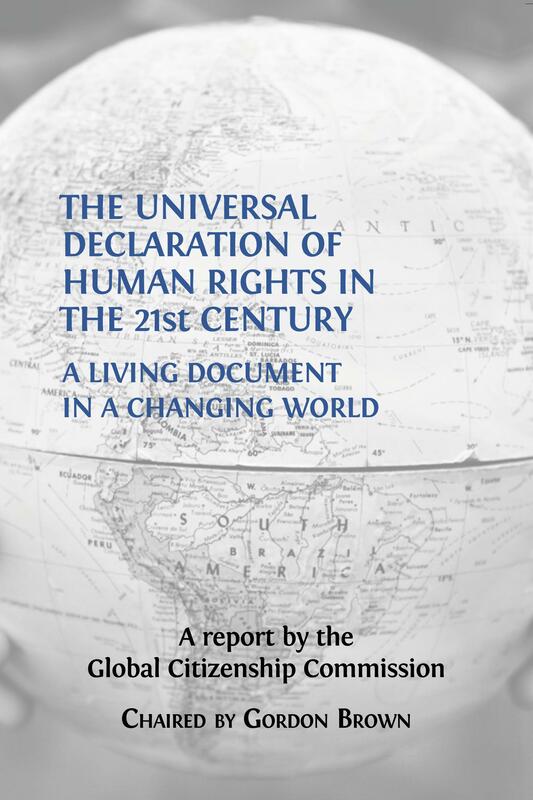 Education is recognized as a fundamental human right. Yet, many people throughout the world do not have access to important educational opportunities. Open education, which began in earnest in the late 1960s with the establishment of open universities and gained momentum in the first part of this century through open educational resources and open technologies, is part of a wider effort to democratize education. Designed for access, agency, ownership, participation, and experience, open education has the potential to become a great global equalizer, providing opportunity for people throughout the world to exercise this basic human right. Many claims have been made as to the potential freedoms offered through open education and how these freedoms may change or democratize higher education. However, are those freedoms truly helping those most in need of emancipation, and what freedoms do they provide for learners or teachers? This chapter tries to answer that question by firstly examining the various discourses surrounding education and emancipation and also open education. It notes that the framing of education and open education can be subject to differing perspectives and outlooks, including distinctions between formal, non-formal and informal education and the relationships between teachers and learners. The chapter then provides a critical overview of the emancipatory effects of open education on learners and teachers (and organizations) as instantiated in open universities, massive open online courses (MOOCs) and open educational resources (OER). It examines the key features and freedoms offered by these examples in relation to formal, non-formal and informal education and in relation to the existing modes of closed education and argues that despite the promise of open education it has had relatively little impact on these existing modes and that the reality will be less profound than the rhetoric suggests. 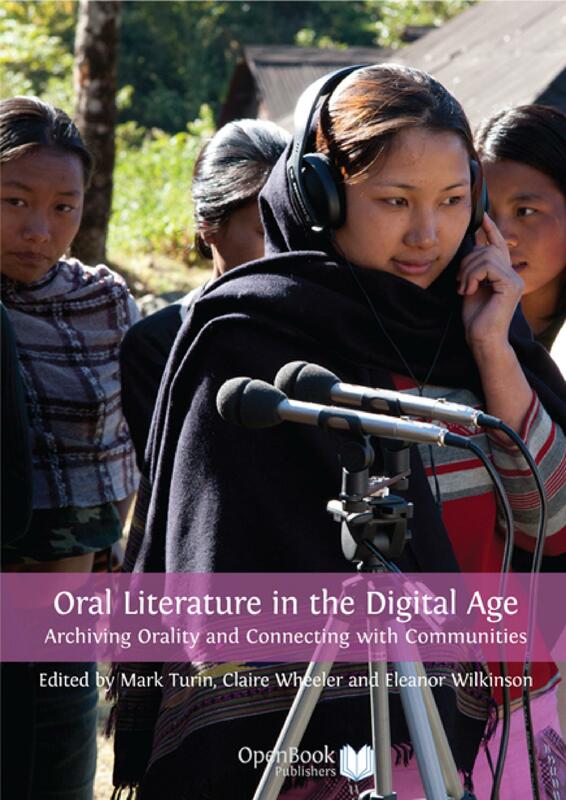 This chapter addresses issues around the discovery and use of Open Educational Resources (OER) by presenting a state of the art overview of technology strategies for the description and dissemination of content as OER. These technology strategies include institutional repositories and websites, subject specific repositories, sites for sharing specific types of content (such as video, images, ebooks) and general global repositories. There are also services that aggregate content from a range of collections, these may specialize by subject, region or resource type. A number of examples of these services are analyzed in terms of their scope, how they present resources, the technologies they use and how they promote and support a community of users. The variety of strategies for resource description taken by these platforms is also discussed. These range from formal machine-readable metadata to human readable text. It is argued that resource description should not be seen as a purely technical activity. Library and information professionals have much to contribute, however academics could also make a valuable contribution to open educational resource (OER) description if the established good practice of identifying the provenance and aims of scholarly works is applied to learning resources. The current rate of change among repositories is quite startling with several repositories and applications having either shut down or having changed radically in the year or so that the work on which this contribution is based took. With this in mind, the chapter concludes with a few words on sustainability. The Open Educational Resource (OER) movement has been successful in developing a large, global community of practitioners, in releasing high quality learning material and influencing policy. It now stands at the cusp of mainstream adoption, which will require reaching different audiences than previously. In this contribution the findings of the OER Research Hub are used to identify three categories of OER user: OER active, OER as facilitator and OER consumer. These groups have different requirements of OER and thus varying strategies would be required to meet their needs if mainstream adoption was to be realized. Online communities where users can engage as both consumers and producers of content offer increasing opportunities for teachers and learners to connect formal and informal learning, often through open practice.TED Translators, an online community of volunteers involved in the crowd-sourced translation of audiovisual open content, provides a good opportunity for teachers to involve their students in completing authentic tasks that make a real contribution to society, in this case, disseminating ideas across languages and cultures whilst practicing the skill of translating video subtitles.Using a qualitative approach based on the analysis of participants’ narratives, we explored the experiences of situated learning within a community of practice as part of a pedagogy that seeks to exploit the intersection between learning in formal and informal contexts. We focused on students’ perceptions of the learning derived from participation in TED Translators, and the role of this activity in the training of translators, and found that participants valued the learning of a new skill and the often serendipitous knowledge they gained about other topics, and were mostly positive about the role of this kind of activity in translator education. Open Educational Policy has become increasingly the subject of government attention globally, primarily with a focus on reducing educational costs for tax payers. Parallel to, yet rarely convergent with, these initiatives is an espoused sector-wide commitment to broadening participation in higher education, especially for students of low socio-economic backgrounds. Criticism of both open education and social inclusion policy highlights a deficiency in both the metrics used by policy-makers and the maturity of conceptual understanding applied to both notions. This chapter explores the possibilities afforded to social inclusion in universities by open education, and the case for an integrated approach to educational policy that recognizes the impact of a multi-causal foundation on the broader educational ecosystem. Badged open courses (BOCs) were piloted on the OpenLearn platform by the Open University (OU) in the UK in 2013. These are free online course upon the completion of which, digital badges are awarded. Based on the evaluation of their impact, they now form a key strand to the OU’s free learning provision, embracing Open Educational Practices at their core. The first permanent suite of BOCs was launched on OpenLearn in 2015 and evaluated for impact, both from an outreach and a business perspective. The application of a branded open digital badge, with associated assessment and feedback has provided a mechanism to motivate and reward informal learners whilst also generating a higher than expected click-through to make an enquiry about becoming a formal student. There is increasing discussion and academic debate about changing and improving learning and teaching praxis as widespread and increased digitization continues to impact life of individuals and society, both locally and globally. Widening the access to higher education is high on the global agenda not just in the field of education but also from the perspective of employment opportunities, entrepreneurship and innovation in the labor market. An open education for all learners is key to maximize the impact of education on society and to ensure its success and sustainability. Opening up education requires a change in attitudes and mindset that emphasizes flexible growth instead of fixed traditions. Enhancing quality in open education requires a system-based approach in which contingency provides for the integration of digitization and technology in both management and leadership. An open education pedagogical approach, or a more self-directed approach is likewise essential to foster openness in both praxis and culture.This chapter analyses the role of open educational practice and culture by discussing the opportunities and dilemmas encountered in this rapidly evolving age of technology-enabled learning, as well as the key issues that must be addressed in opening up education. In this contribution, three open textbook authors outline the motivations and mechanics of three successful yet different approaches to writing open textbooks. These approaches include textbook creation and adaptation projects, individual and collaborative efforts, and traditional timeline and compressed "sprint” models. Following these cases, the authors discuss similarities and differences across approaches, along with broader issues concerning how particular disciplines and philosophies of teaching influence writing open textbooks. The proliferation of Open Educational Resources (OER) is a disruptive innovation. At first glance, using OER simply consists in replacing a traditional text with an alternative. Often, little attention is paid to the process of adopting and adapting OER materials. In the course of creating a learning community for faculty who intended to use OER, we experienced that this seemingly minor shift of instructional resources opened onto an entire landscape of questions around the meaning of education, the nature of social and political power in education systems, the meaning of authority and credibility, the risks associated with change and our own identities as participants in higher education. We present here the themes that emerged from our learning community, which consisted of an OER librarian and seven faculty members. These themes related to the process and methods of teaching, the goals of using OER and our fundamental goals as educators. This modest case study reveals that a peer-to-peer research and learning community that is designed to support transformative learning enables a faculty member to derive the full benefit of using OER. Such a learning community not only builds personal capacities for making conscious choices beyond one’s conditioned tendencies, it also revitalizes the spirit of scholarship. Adoption of Open Educational Resources (OERs) by the science, technology, engineering and mathematics (STEM) community has yet to become an integral part of higher education classrooms. Many STEM faculty have been reluctant to develop and use OERs because the process of developing these resources is time-consuming and finding appropriate resources for higher education remains overwhelming. We developed a process to help generate OERs for topics that are generally associated with laboratory equipment or field research techniques in ecology and earth sciences, as well as general science. This project draws on the need to develop resources and expand access to scientific field-based research techniques through OERs for students learning at a distance. Engaging in undergraduate scientific virtual field experiences is an educational opportunity for students with a desire for an enriched learning experience in the sciences, particularly in ecology and earth sciences, but that cannot participate in a traditional field-based curriculum. In this chapter, we discuss the current status of the use of OERs for STEM education and our approach to developing three OERs in the areas of microscopy, geologic history interpretation and biodiversity. We conclude by sharing some of the challenges and lessons learned in the process. Entering into the world of Open Educational Resources (OERs) is not simply a matter of embracing a social justice-oriented stance about cutting ties to expensive textbooks and providing greater access to higher education. There is a practical side to making the transition from textbook-dependent courses to OER and, especially, for an individual professor or group of faculty members working without an existing OER-supportive institutional infrastructure (i.e. experienced OER users to serve as models and mentors, librarians well-versed in identifying and accessing OER, and instructional designers able to provide assistance), there are a number of very real challenges. This contribution examines one college professor’s journey to OER, along with challenges and lessons learned along the way, as he strove to gain an understanding of how to implement an OER-supported curriculum. The chapter provides a model of a an OER-based course module, discusses the impact of the "Four R’s” of OER (Reuse, Revise, Remix, and Redistribute) on decisions regarding how best to employ OER within a new or existing college course and ends with a series of questions to consider when preparing to engage with the transition to OER. This chapter outlines the design concepts for the creation of a global Open Assessment Resources (OAR) item bank with integrated automated feedback and scoring tools for Open Educational Resources (OER) that will support a wide range of assessment applications, from quizzes and tests to virtual performance assessments and game-based learning, focused on promoting deeper learning. The concept of "promoting deeper learning” captures the idea that authentic assessment is fundamental to educative activity and the concept of "item bank” captures the idea of reusability, modularity and automated assembly and presentation of assessment items. We discuss the different assessment structures, processes and quality measurements across various types of assessments and outline how a globally distributed technology infrastructure aligned with and linked to OER could help advance education worldwide. Six core operational services of higher education service delivery — content, interaction, assessment, credentialing, support and technology — are used as a foil for the discussion and analysis of the changes in brand differentiators in these services, which are emerging due to OER and can be enhanced with OAR. This chapter presents the current state of open science and research in Finland. The Ministry of Education and Culture has established the Open Science and Research Initiative for 2014–17, which aims to promote the availability of open research information and open publication procedures. Along with this initiative, Finland aims to become the leading country for openness in science and research by 2017, covering a broad range of activities on many levels, and thus enabling the more effective utilization of research data and results for the greater benefit of society. Finnish Higher Education Institutes (HEIs) play an important role in fulfilling this vision. 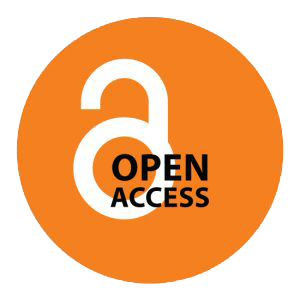 In this contribution we investigate Finland’s open science and research framework by examining Lahti University of Applied Sciences as a case study of the implementation of open science and research (OSR) policies. As this example shows, the implementation of OSR policies is an iterative development process through repeated cycles in which raising awareness, sharing knowledge and building networks and capacity development are central issues in the creation of an open working culture for an HEI, and which is needed to achieve strategic goals and to increase the impact and quality of research. In this contribution we advocate separating credentialing from the learning process as a path to greater scalability and better measurement of what independent learners learn from OER. We address the challenge of matching/aligning OER offerings with standardized exams as a way for independent learners to access academic credit, and explore ways to achieve consensus among educational institutions about what academic credit means and which types of evidence to accept in terms of learning that occurred outside a particular institution. We begin the chapter with an overview of credit by examination, contrasting the standardized testing approach with the classroom teaching approach to academic credit. We briefly describe our process for creating exams and the accompanying materials that make clear to potential test-takers what the learning objectives are. We then define a method for building the bridge between OER and the exam. Finally, we discuss the policy issues of accepting exams for credit and envision a future in which learners can receive transferable credentials in a cost-effective, efficient and valid manner. The University of Southern Queensland (USQ) has a strong social justice ethos. Based on this ethos, USQ is seeking to re-position and re-conceptualize itself as a university grounded in the principles of openness and open education. This chapter describes the experiences of USQ as it strives to build a culture of openness and agility and investigates the activities undertaken by USQ including the issues, barriers, challenges and opportunities faced. The chapter concludes with a discussion of the key lessons learnt from USQ’s journey to more fully embrace Open Educational Practice and culture.